Waterfront Townhome in NE St. Pete direct on the water plus dock and boat lift! Enjoy viewing dolphins and manatees in your back, water front yard. 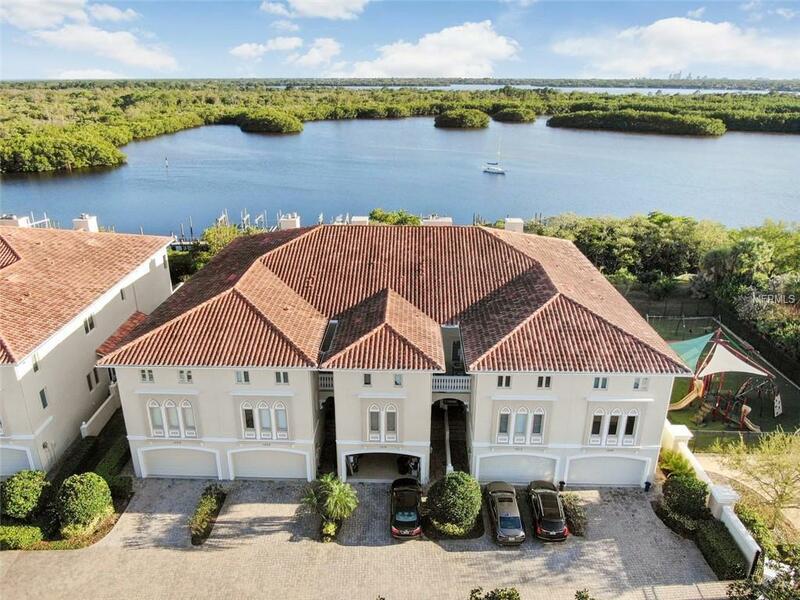 You have an unrestricted view of Weedon Island Preserve and boating access to Tampa Bay and the Gulf of Mexico. 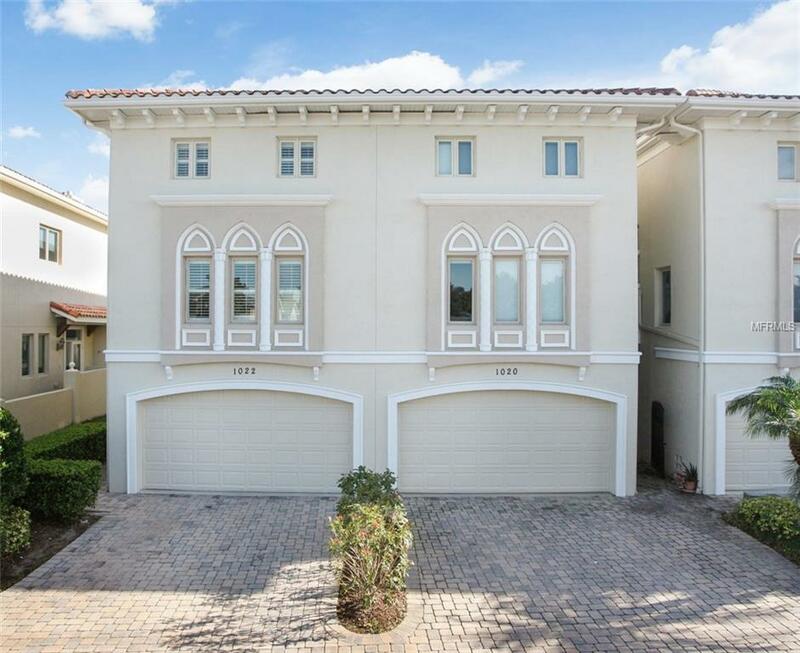 As you enter the gated community of Portofino at Venetian Bay you will notice the Mediterranean architecture, tile roofs and brick paver courtyard. 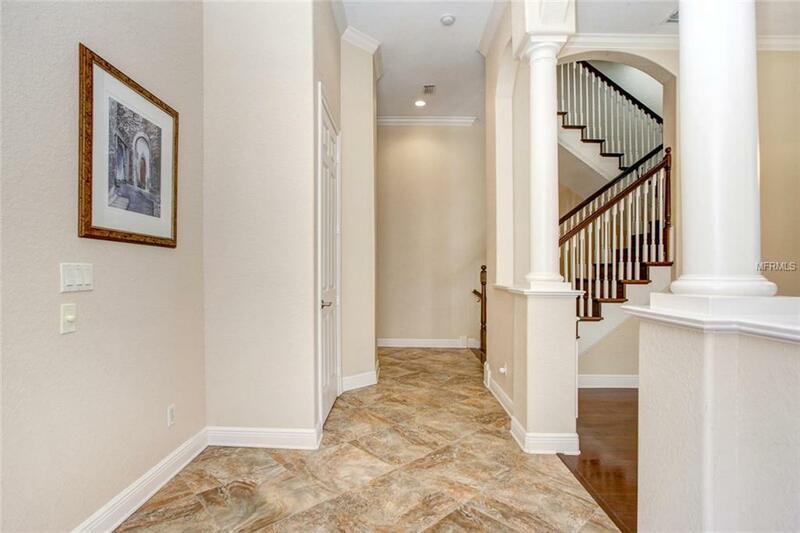 Built in 2005, this luxury townhome has 4 bedrooms, 4.5 baths, a 2 car garage, and over 3600 square feet of living area. Upon entering, you will find elegant arches and premium finishes throughout. The gourmet kitchen has raised panel cabinetry, farm sink, granite counters, center island, and a breakfast bar. The kitchen overlooks the great room and water views. The great room has a fireplace and Pella hurricane glass doors. The patio leads to the backyard and dock to a deep water boat slip and lift. The composite dock has power, water, lift, and new pilings. Back inside the home, upstairs is the master suite which features a fireplace, dual walk-in closets with custom shelving and a balcony with sweeping water views. The master bath has dual vanities, garden tub, and a separate shower. Each bedroom has an en-suite bathroom. Other features include: new carpet, Pella windows anddoors, water filtration system, surround sound, and much more. Portofino has a community pool, spa and playground. Venetian Bay offers easy access to downtown St. Pete, South Tampa, and Tampa International Airport.